Ghodbunder Road has come up as a latest growth corridor in Thane. The real estate segment of the locality is booming and has attracted a number of mid range buyers. Go through the article to learn more about the locality. The suburban areas of Mumbai have become the preferred real estate destinations. The large influx of people from different parts of the country has made Mumbai and the nearby locations more crowded, and this lead to development of the suburban localities around Mumbai. Because of the booming rates of the residential properties, Mumbai has become a costly place to invest and those locations, which were not even recognized as a place to reside, have become the favorite investment hubs. In such a scenario, the development of Thane as a residential destination came as no surprise. The construction of Ghodbunder Road, which is a state highway (State Highway 42), has attracted a number of builders in the nearby locations, particularly Thane. The area has experienced construction of a number of skyscrapers, which added to the growth of commercial and residential segments in Thane. Ghodbunder Road connects two main highways to Thane. Besides, the road also provides connectivity to Mira Road, Mulund, Bhandup and Ghatkopar from Thane. Ghodbunder Road is the new corridor for growth and is undergoing rapid pace of development with around 5 million sq. ft. of under construction land. The maximum number of such projects is the residential ones to cater the increased demands for growing population in the area. Apart from the residential projects, a number of these builders are also coming up with exclusive commercial projects, which involve construction of educational institutions, hospitals, shopping malls, recreational and entertainment centers, banks and many more. Some of the leading real estate companies like Everest Group, Pawanputra Greenwood Pvt. Ltd., Bhumika Developers, Hiranandani Group of Companies and Bhumika Developers have marked their presence in the area. They have come up with the gated community projects, which offer world class specifications such as swimming pools, sports facilities, play zone for kids, clubs and gyms. Besides, closeness of the localities to Sanjay Gandhi National Park has offered more and more open spaces and green ecosystems. According to the market experts, the average prices of the property at Ghodbunder Road are about Rs. 5,400 per sq. ft., which is up by 20% as compared to last year’s Rs. 4,400 per sq. ft. Nevertheless, the market has not shown any type of investor-driven activities and the prices are stabilizing. The retail segment has also experienced boom in past 1 year with the construction of Hyper City mall and R Mall on Ghodbunder Road. Retail shops are mostly concentrated in Waghbil, and comprise of clothing stores, jewelers, provision stores, sweet shops, and others. Typically, a commercial space of 250 sq. ft. is available for Rs. 30 lakh. Most of such commercial buildings are concentrated in Regalia and Hiranandani. The locality is witnessing rapid infrastructural developments. Those who are willing to invest in the affordable home segment find it best to invest in the localities around Ghodbunder Road. 1 and 2 BHK homes have been the most popular formats among the buyers. 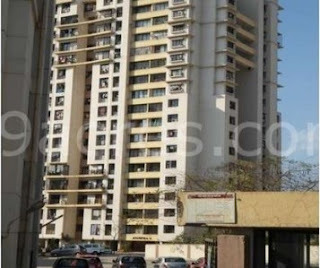 To invest in a property in Ghodbunder Road, the buyers are willing to pay Rs. 30 to Rs. 50 lakh. These localities have good accessibility from international airport, schools, eateries and hotels, making it a preferred choice among the buyers. Juts 3 to 4 years ago, Ghodbunder Road was named among the green forest areas, but now, around 40% of the total area is cleared and is being developed as a residential and commercial zone. The construction of IT parks, corporate offices, retail units, and other commercial centers improve the capital values in this locality.